John Gehl is the founder of the Faye Gehl Conservation Foundation. 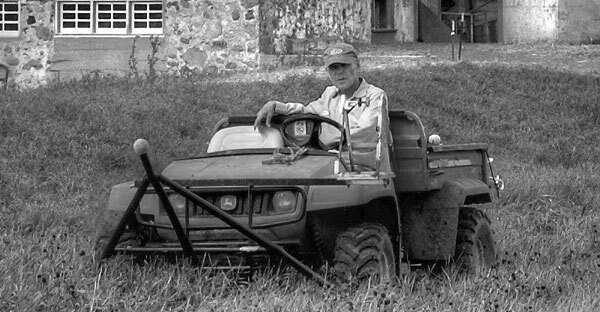 Without John’s passion for farming and making a difference in the world, the FGCF would not be a prominent leader in Wisconsin’s land conservation movement. John Gehl moved to Lake Country in 1952 (at age 14) when his father built a small cottage on Beaver Lake. At that time, Lake Country was farming country. John left the area for college and military service but returned in the early 60s to run his family’s business—a dairy processing plant in Germantown. Over the years, John commuted to Germantown from Lake Country, passing farms along the way. Having worked at his uncle’s dairy farm for several summers as a child, John enjoyed passing these working landscapes every day. But in the early 90s, John noticed that more and more farms along his daily route were being sold for development; John soon became aware of the plight of many Wisconsin family farmers who struggled to make a living and thus were relieved to make a profit by selling their land for development. With his passion for making a difference, John experimented with various farming practices to see if he could positively contribute to the dialogue on how to make farming profitable for family farmers. At the same time, he read Aldo Leopold’s A Sand County Almanac and was introduced to Leopold’s idea of the land ethic. The idea that the care of people cannot be separated from the care of the land fundamentally changed the way John saw the problem of agriculture in our area and has lead to his self-proclaimed identity as a carbon farmer. If you ever meet John on one of our farms, he will personally welcome you to Carbon Country. This greeting is his way of reminding himself that soil health is the most important ingredient to farming success. To learn more about carbon farming and the Foundation’s current projects, click below.